Remind us why this is controversial again? Whether or not breastfeeding is for you (there are a number of reasons, medical and social, a woman may decide against it), breastfeeding can make for a pretty fascinating topic. Sure, it's one of the most most natural things in the world, but depending on the context, it can also be controversial, comforting, difficult, emotional, mysterious, confusing and/or judgment-inducing... and that's just the beginning. (If you really want to delve head-first into the breastfeeding vortex, look up some of the reactions to Gisele Bundchen's infamous 2010 comment that there should be a "worldwide law that mothers should breastfeed their babies for six months". Warning: you may disappear into the internet and never come out). But breastfeeding shouldn't need a high profile celebrity making a controversial statement to garner interest, because it's actually a fascinating practice in itself. For instance, did you know breast milk can change colour? And flavour? Or that the average breastfeeding woman pumps out nearly a litre of the stuff a day? 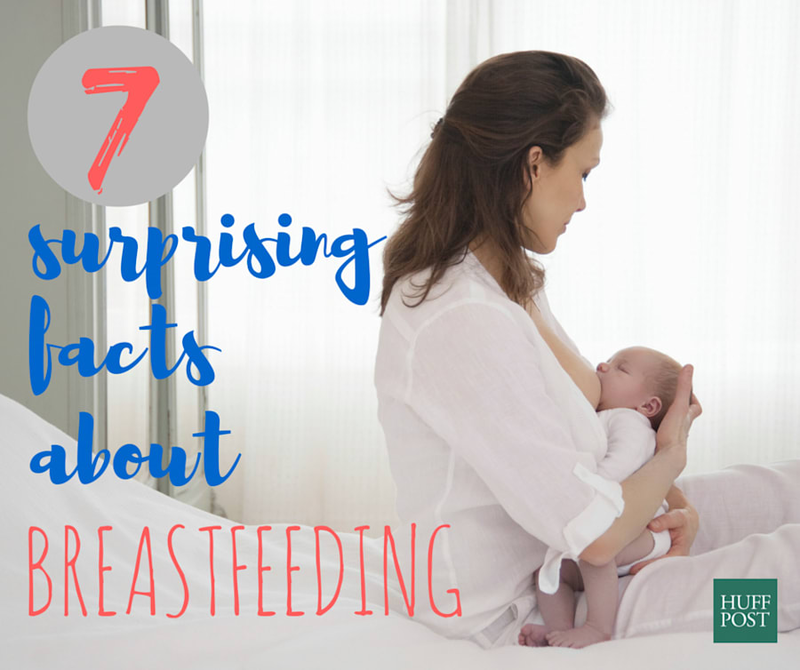 So in celebration of World Breastfeeding Week (1-7 August, 2016), here at The Huffington Post Australia we thought we'd take a look at some surprising breastfeeding facts your baby won't care less about, but we think make for a pretty good read. "I think what a lot of people find surprising is the recommendation on how long you should breastfeed for," Kaye Dyson, Manager of the Breastfeeding Service at The Women's told The Huffington Post Australia. "WHO recommends exclusive breastfeeding for the first six months [of a child's life] -- so that's no other food or fluids -- but after six months it is also recommended women continue to breastfeed, with introduction of appropriate foods, to two years of age or beyond. "That causes a lot of people to raise their eyebrows. 'Two years or beyond? Really?' But in actual fact we as a nation aren't very good at supporting the breastfeeding of older children. We are good at encouraging women to breastfeed, but not for extended periods. "What is important to remember is breastfeeding is the biological norm. We [at The Women's] support the WHO recommendations, because we believe any breast milk at any stage in a child's life is nutritional and helpful and aids their long term health." "It can be bright blue, sometimes," nutritionist and contributor to website The Healthy Mummy, Cheree Sheldon, told HuffPost Australia. "It definitely shocked me when I was breastfeeding. I think when you buy milk in the shop, it's always perfect white, so it's unexpected to have it in different colours when you breastfeed. "Just as eating lots of beetroot can change the colour of your urine, what you eat can tint your breast milk. When I had blue breast milk, I think that was from eating lots and lots of green veggies. It certainly came as a surprise." According to the World Health Organisation, "breastfeeding is one of the most effective ways to ensure child health and survival." "Breast milk is affected by the woman's diet and so, yes, it can change flavour," Dyson said. "For example, I might get a call from a woman who says their baby has suddenly changed their behaviour. Where perhaps normally their baby is very settled and feeding regularly, suddenly he or she is crying a lot and generally behaving in a way that's out of character. "One of the first questions I ask in this situation is 'is there anything you can think of that's changed in 24 to 48 hours? Anything in your diet?' And more often than not the mother has gone out for dinner and had very spicy food, for example, and maybe that's not a regular part of that woman's diet. "The baby could be reacting to the change in her breast milk. It might have a tummy ache or its little bottom gets red, and it's all due to a night of spicy food." In the same way a woman's diet can affect the colour or taste of breast milk, alcohol can also be passed through the mother to the infant. "We often have to counsel woman about alcohol content in milk," Dyson continued. "Obviously the best possible outcome is that a woman doesn't drink during lactation, but if they choose to, they often ask how to go about it in the safest way. "Basically, a woman's blood alcohol content equals her milk alcohol content. There are lots of ways to get around this if, for instance, you have a big event you want to drink at, such as to express before the event." 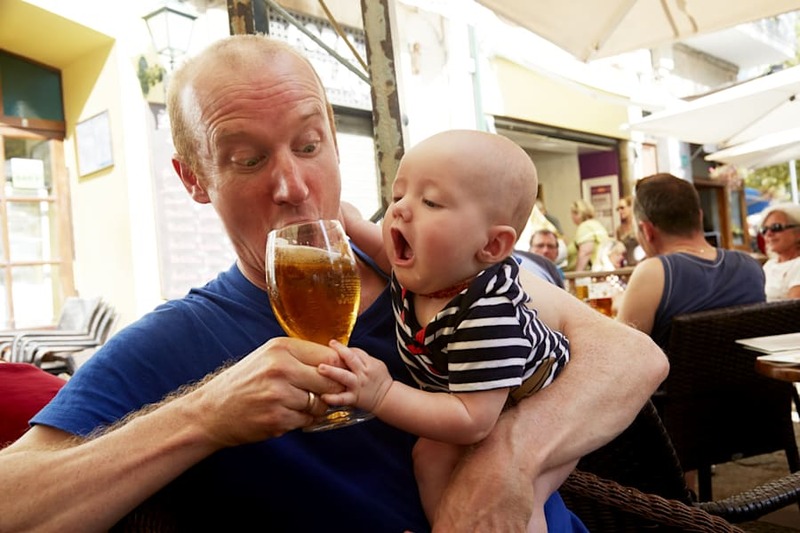 Some babies want alcohol even when they're not breastfeeding. "It's certainly true that one breast is often bigger then the other, and that is thought to be due to the glandular tissue that produces the milk," Dyson said. "A woman might have a breast with more glandular tissue than the other, and therefore presumably more milk. "Sometimes, babies favour one breast over the other for no apparent reason at all, and we can't really explain why that is." "The hormone oxytocin, which is released while breastfeeding, also helps your uterus contract back to its normal size," Sheldon told HuffPost Australia. "That's why in those early days of breastfeeding, you may feel cramping or contractions in your tummy just after your let down." "A normal milk supply for a breastfeeding woman is about 800ml in 24 hours," Dyson said. "Some women have larger milk storage capacity in their breasts than others, so while over a 24-hour period, most people will produce around 800 ml, some people don't have the storage capacity to contain that. "As such, some babies will feed more frequently on [lesser amounts] while others will feed less, but in larger amounts, because the woman's storage capacity is larger." Find out more about World Breastfeeding Week here.